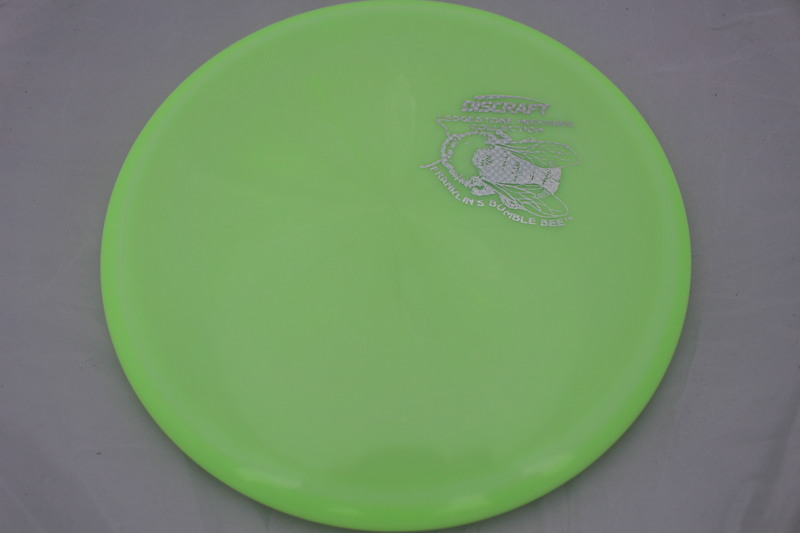 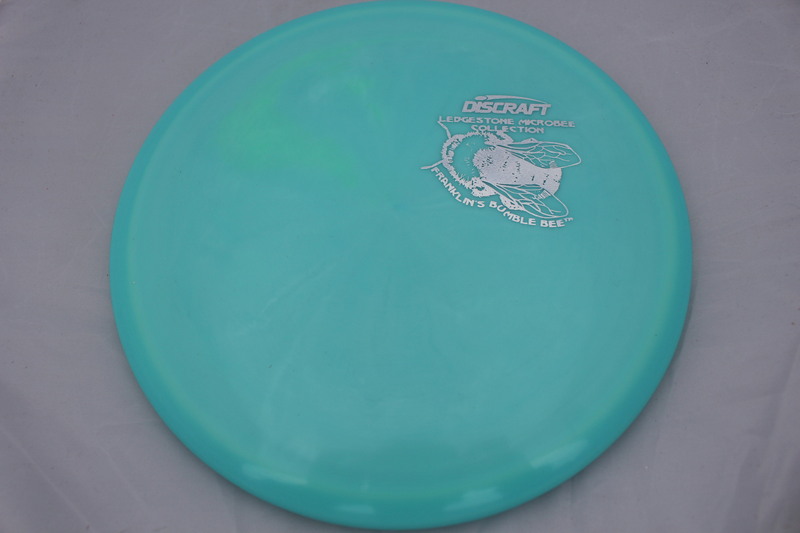 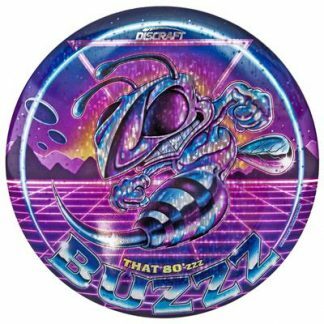 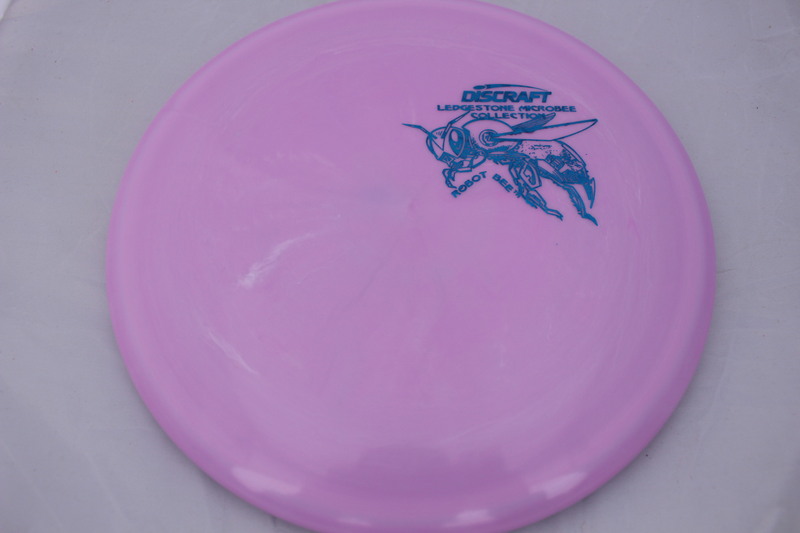 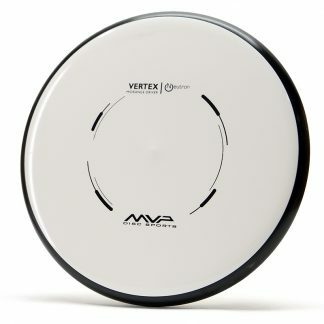 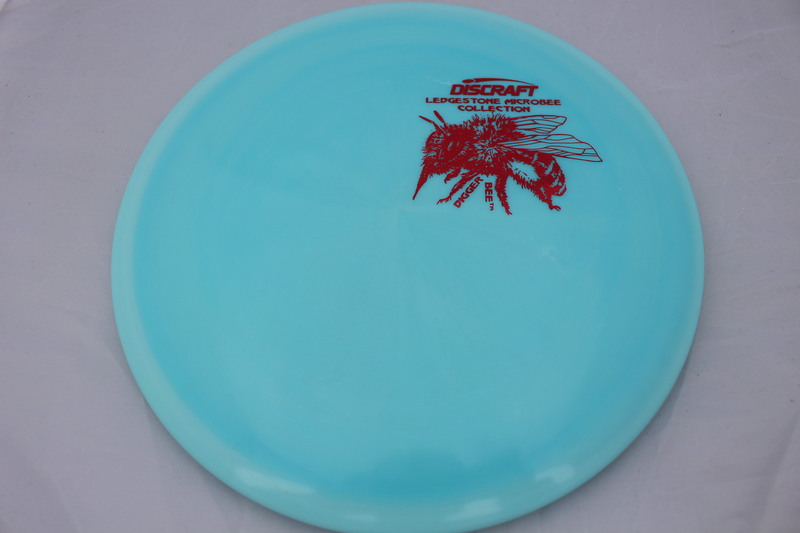 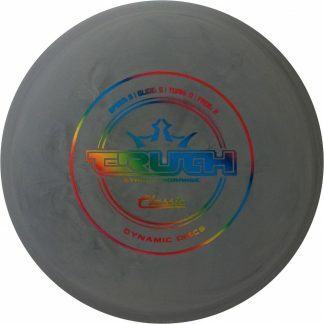 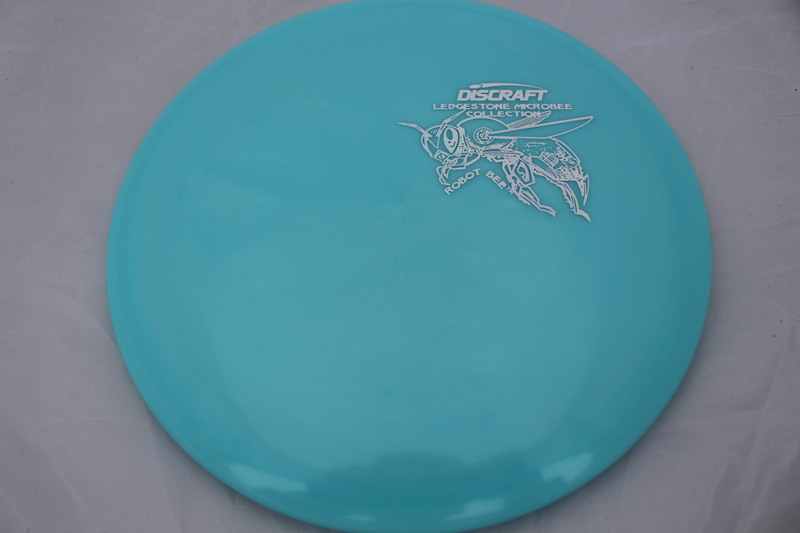 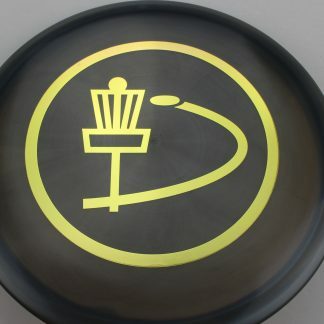 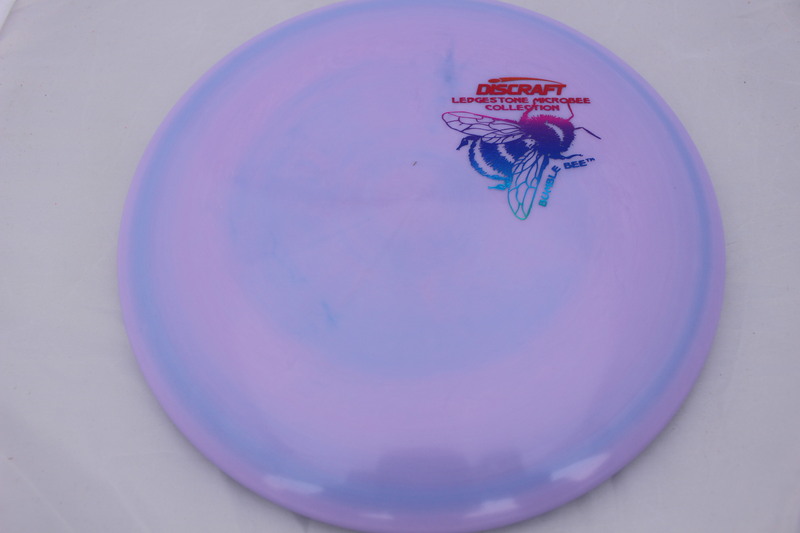 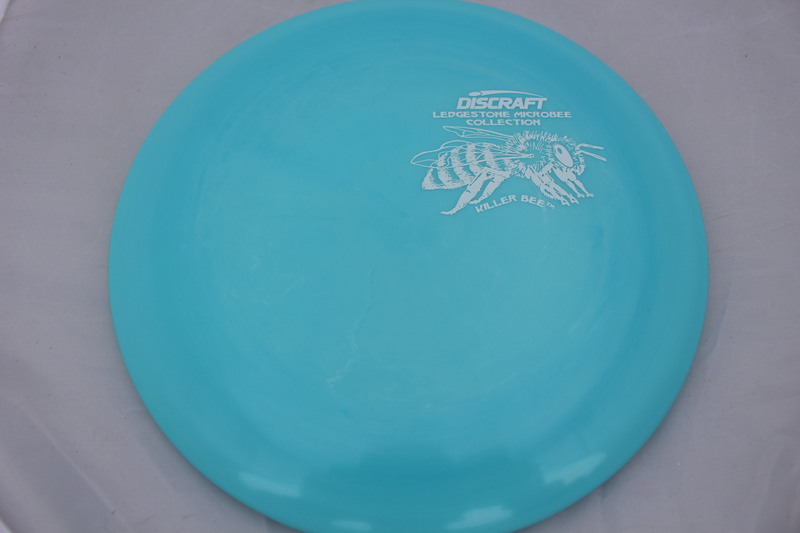 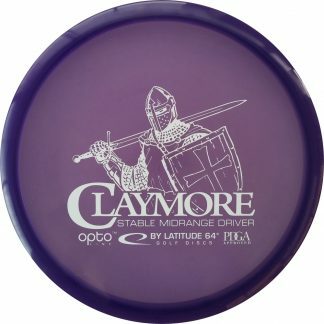 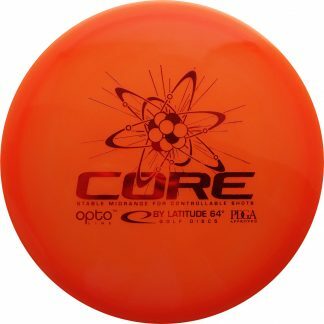 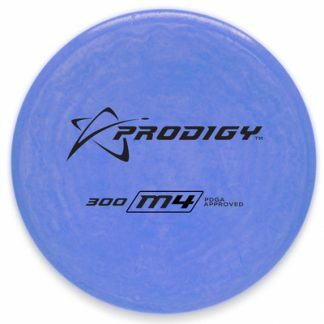 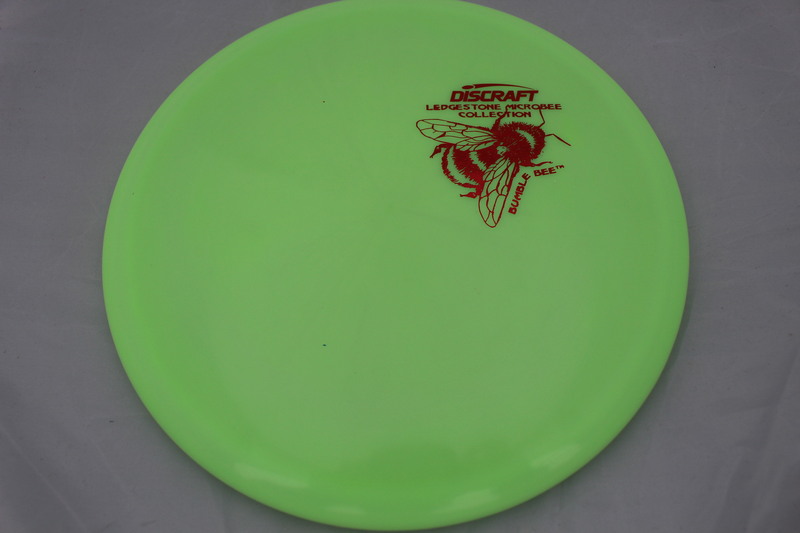 The Discraft Buzzz for the 2019 Ledgestone Open in a lovely Glo Z plastic, with a little swirl. 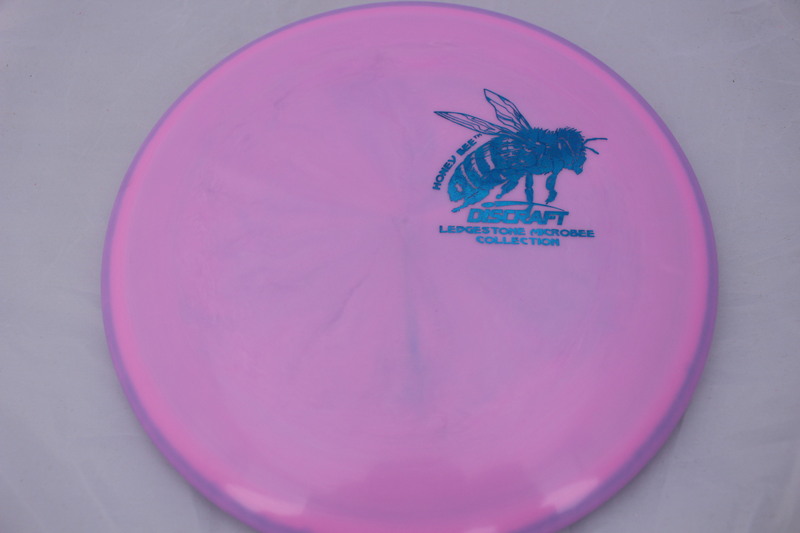 A variety of bee stamps featured. 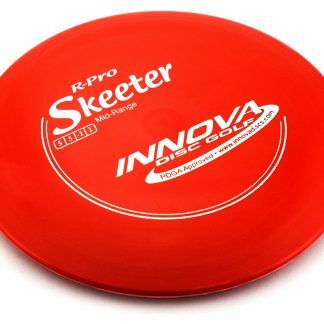 Look and feel great! 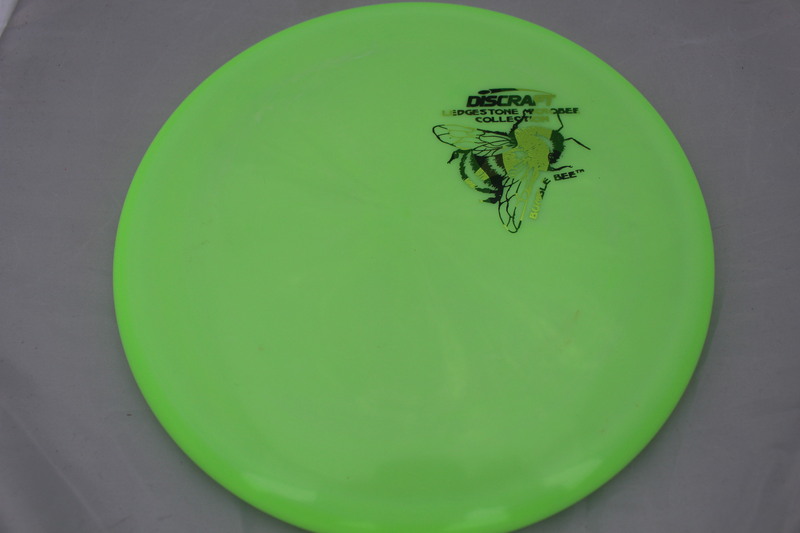 Glo - Yellow/Green Color Glo Z Red Lines 177+g Pretty Flat Neutral Stiffness $16.51 Just 1 left! 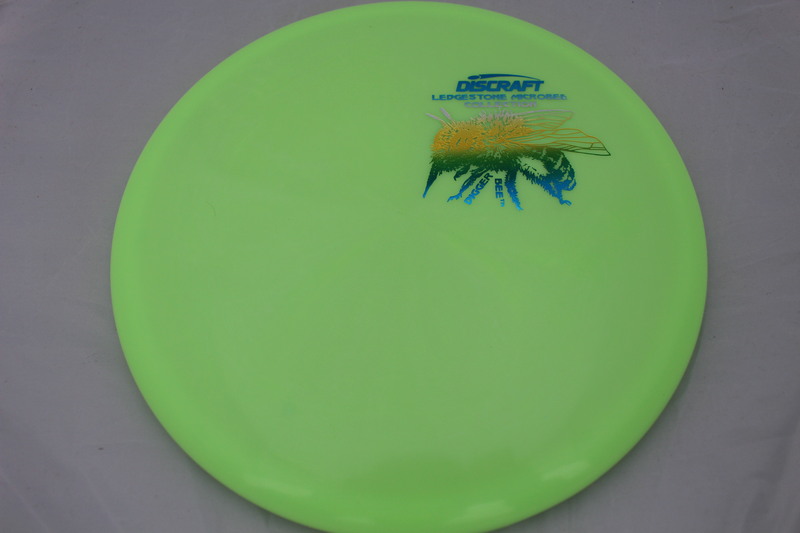 Glo - Yellow/Green Color Glo Z Camo 177+g Pretty Flat Neutral Stiffness $16.51 Just 1 left! 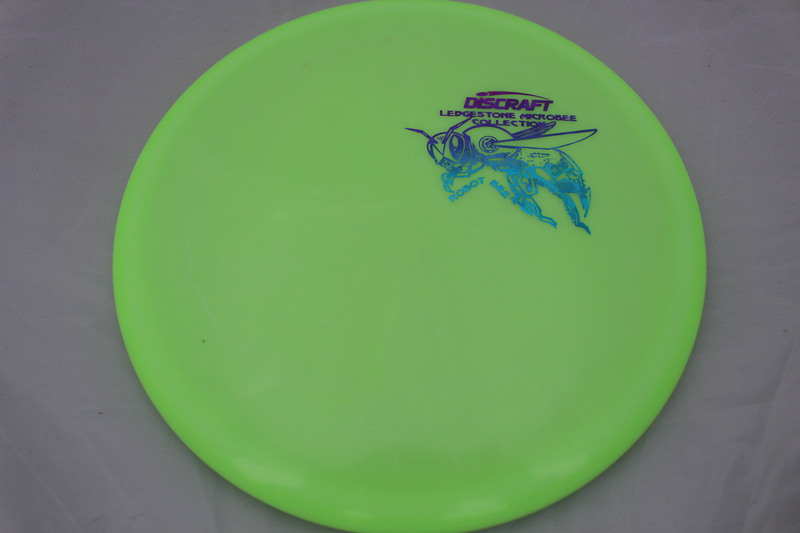 Glo - Yellow/Green Color Glo Z Rainbow - Blue Green Yellow 175-176g Pretty Flat Neutral Stiffness $16.51 Just 1 left! Glo - Yellow/Green Color Glo Z Flag 177+g Pretty Flat Neutral Stiffness $16.51 Just 1 left! 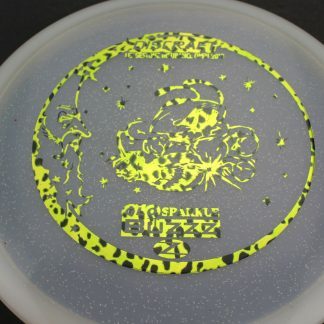 Glo - Yellow/Green Color Glo Z Camo 177+g Pretty Flat Somewhat Stiff $16.51 Just 1 left! 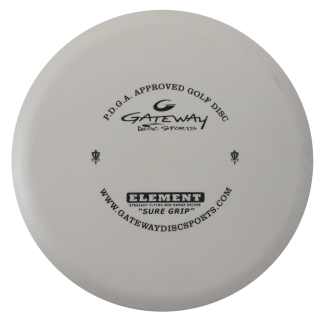 Glow - Light Yellow Color Glo Z Silver Squares 177+g Pretty Flat Neutral Stiffness $16.51 Just 1 left! 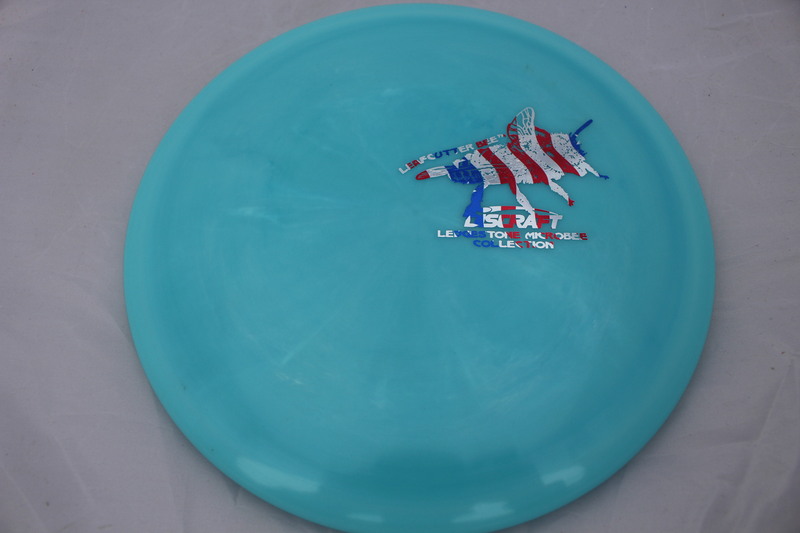 Glo - Light Blue Color Glo Z Flag 177+g Pretty Flat Somewhat Stiff $16.51 Just 1 left! 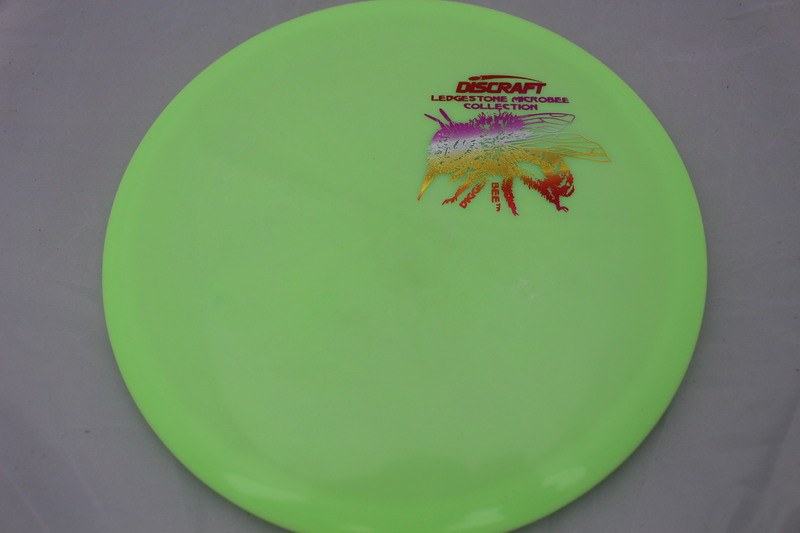 Glo - Yellow/Green Color Glo Z Rainbow - Pink/Orange/Yellow 175-176g Pretty Flat Neutral Stiffness $16.51 Just 1 left! 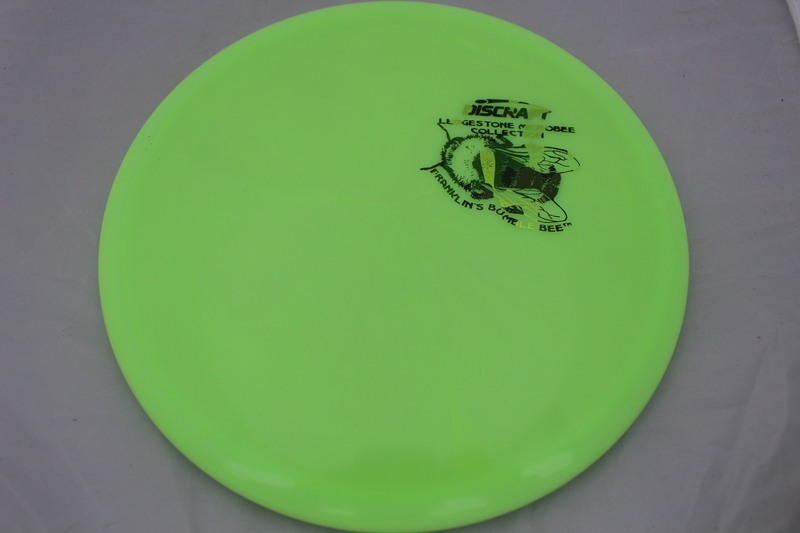 Glo - Yellow/Green Color Glo Z Red Lines 177g Pretty Flat Neutral Stiffness $16.51 Just 1 left! 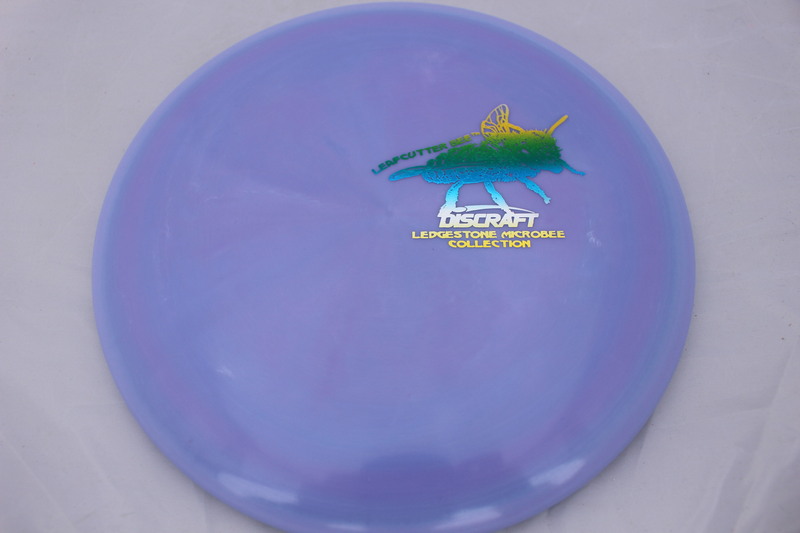 Glo - Yellow/Green Color Glo Z Rainbow - Purple/Blue 177+g Pretty Flat Neutral Stiffness $16.51 Just 1 left! Glo - Yellow/Green Color Glo Z Red Lines 177+g Pretty Flat Somewhat Stiff $16.51 Just 1 left! 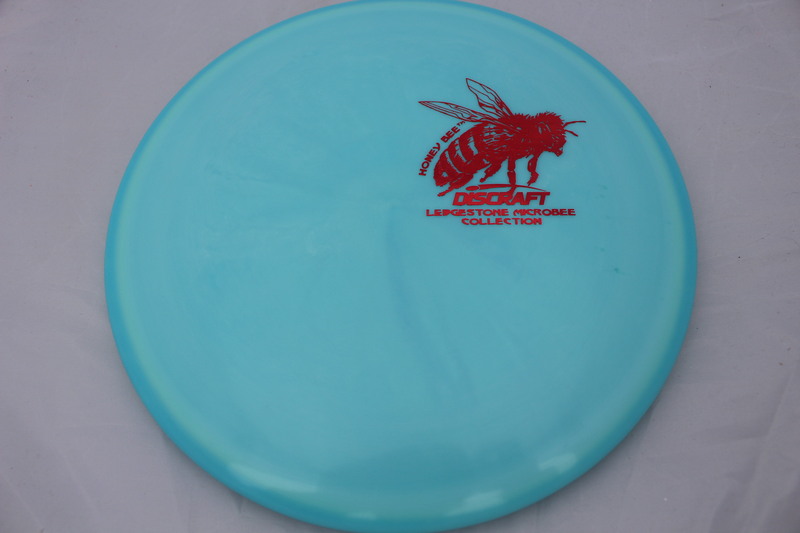 Glo - Light Blue Color Glo Z Red Lines 177+g Pretty Flat Neutral Stiffness $16.51 Just 1 left! 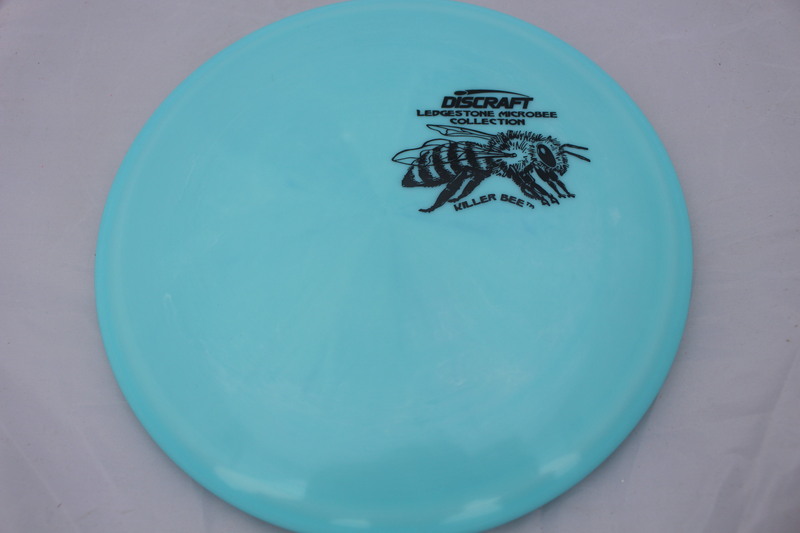 Glo - Light Blue Color Glo Z Silver Squares 177+g Pretty Flat Somewhat Stiff $16.51 Just 1 left! 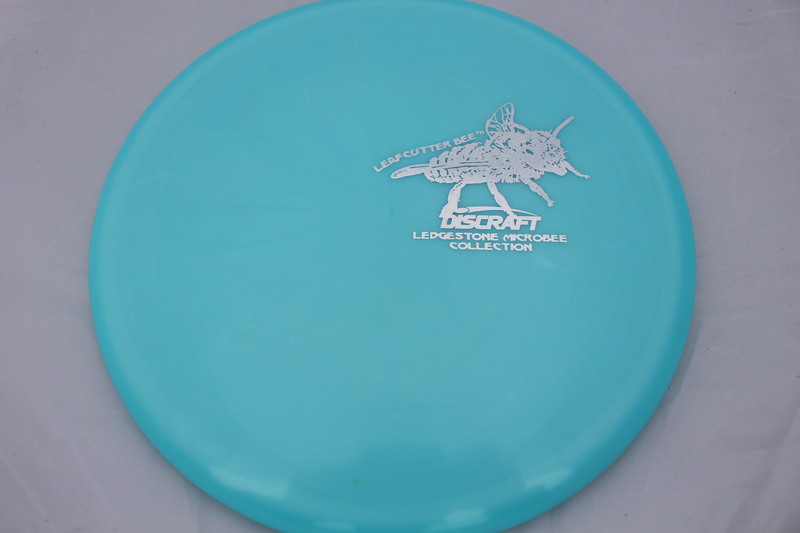 Glo - Light Blue Color Glo Z Silver 177+g Pretty Flat Neutral Stiffness $16.51 Just 1 left! 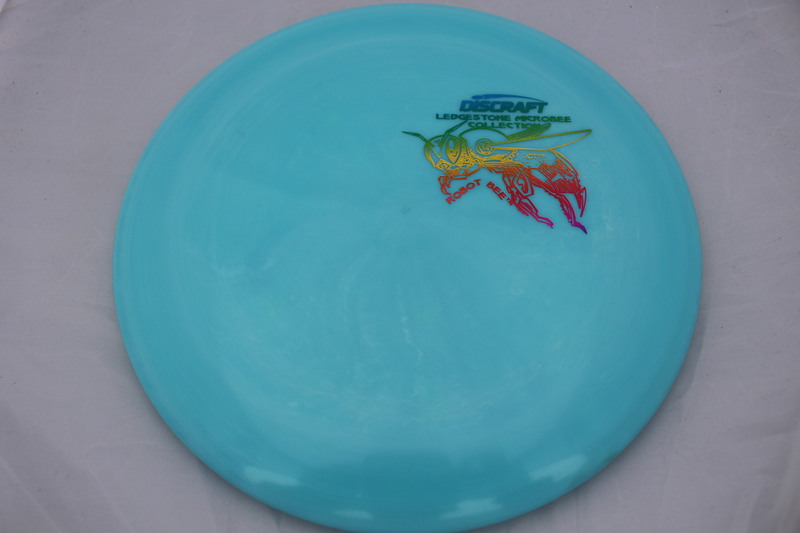 Glo - Light Blue Color Glo Z Rainbow 177+g Neutral Flatness Somewhat Stiff $16.51 Just 1 left! 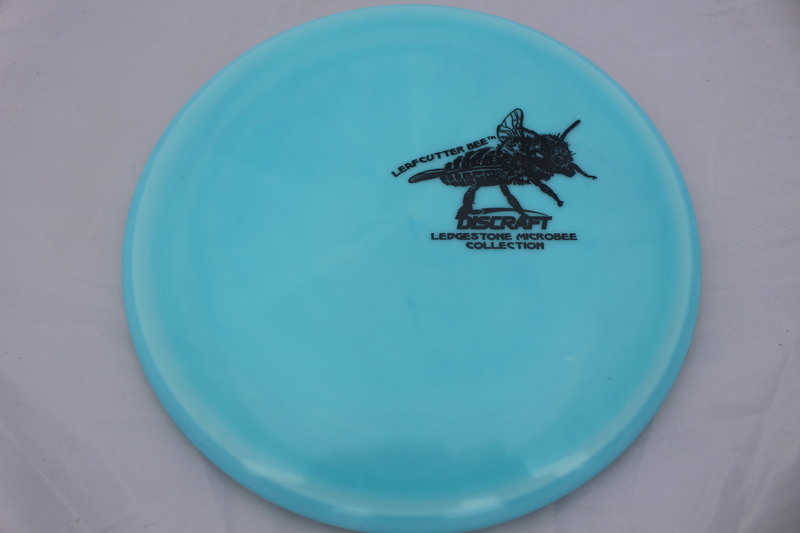 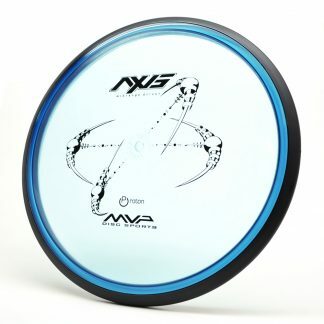 Glo - Light Blue Color Glo Z Black 177+g Pretty Flat Neutral Stiffness $16.51 Just 1 left! 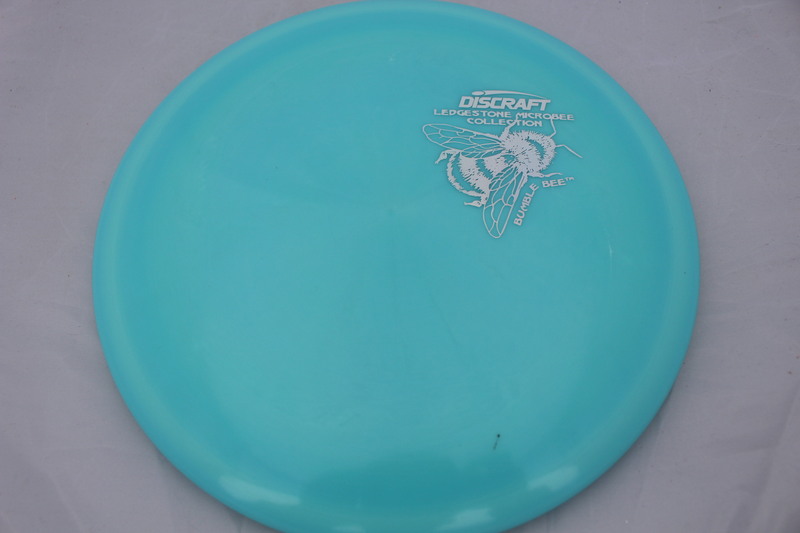 Glo - Light Blue Color Glo Z Silver Shatter/Dots 177+g Pretty Flat Somewhat Stiff $16.51 Just 1 left! 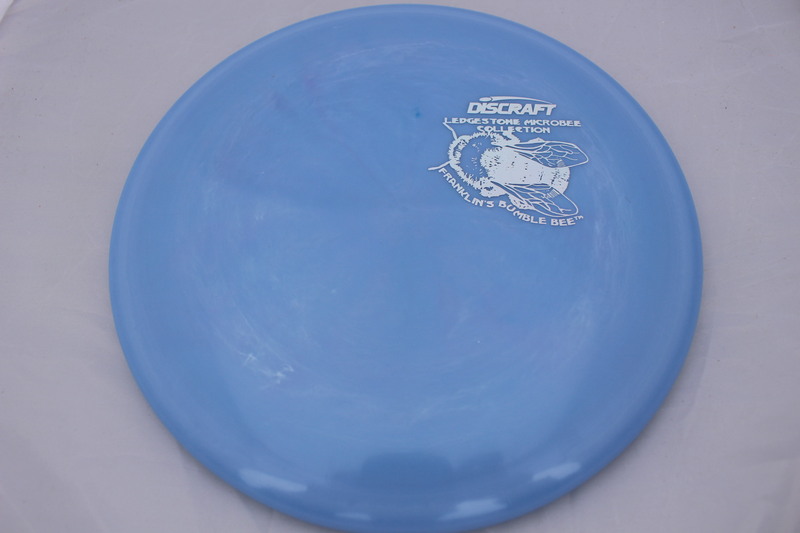 Glo - Light Blue Color Glo Z White 177+g Pretty Flat Pretty Stiff $16.51 Just 1 left! 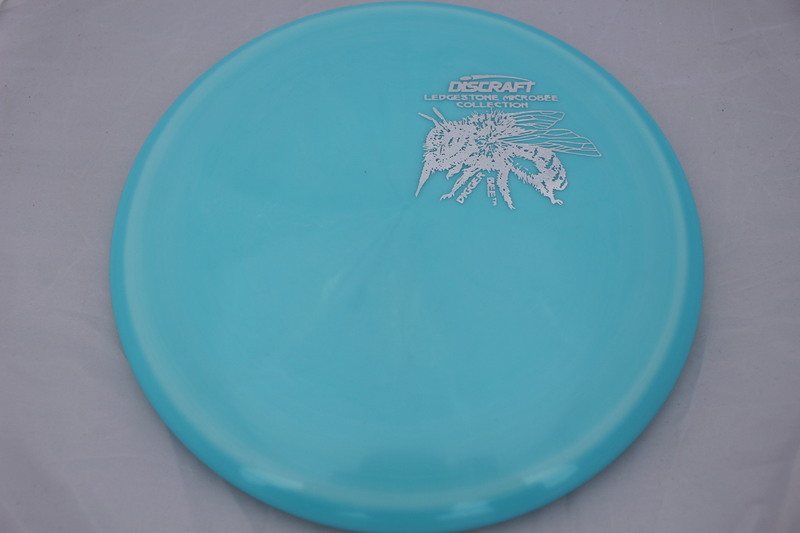 Glo - Light Blue Color Glo Z Silver Fracture w/ Dots 177+g Pretty Flat Somewhat Stiff $16.51 Just 1 left! 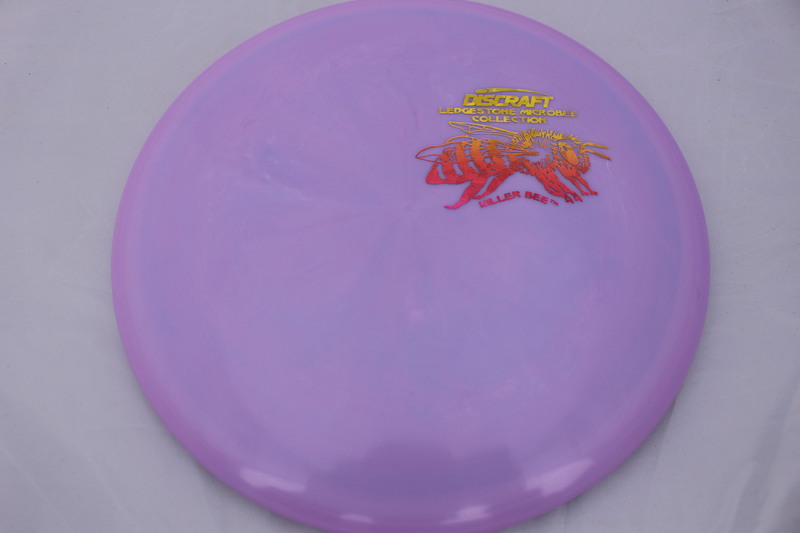 Glo - Purple/Pink Color Glo Z Silver 177+g Pretty Flat Neutral Stiffness $16.51 Just 1 left! 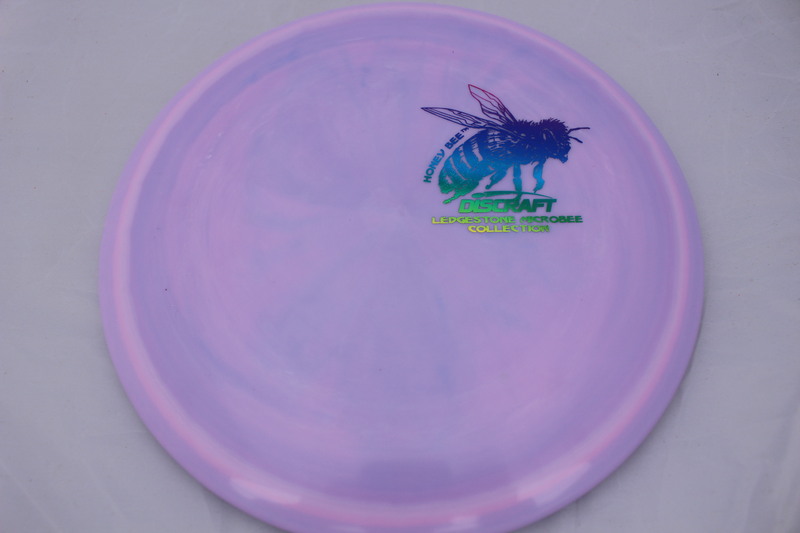 Glo - Purple/Pink Color Glo Z Rainbow - Blue Green Yellow 177+g Pretty Flat Somewhat Stiff $16.51 Just 1 left! 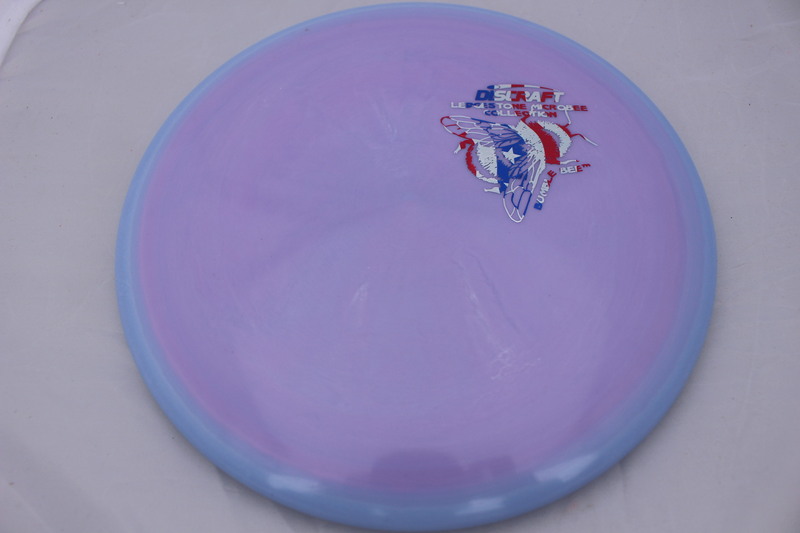 Glo - Purple/Pink Color Glo Z Flag 177+g Pretty Flat Somewhat Stiff $16.51 Just 1 left! 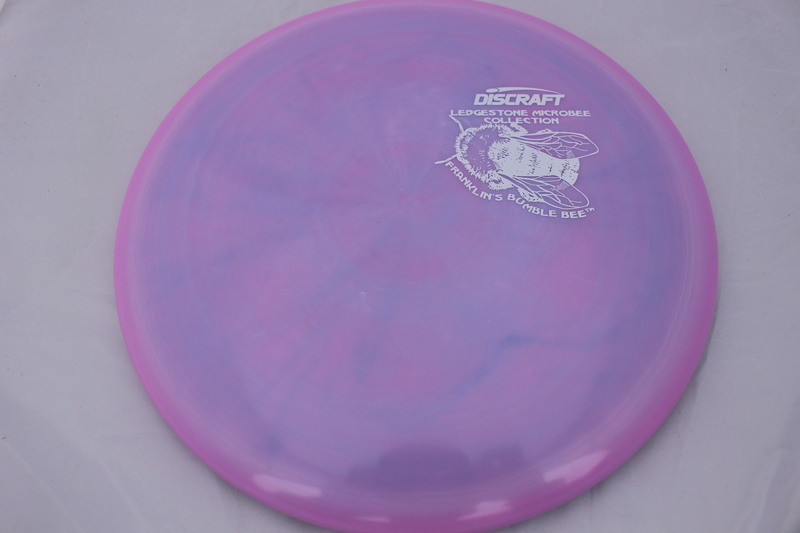 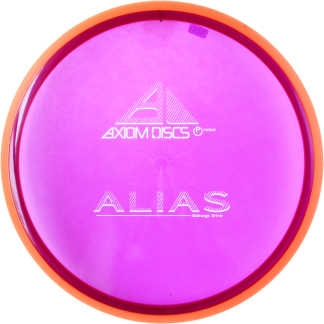 Glo - Purple/Pink Color Glo Z Fuchsia Fracture 177+g Pretty Flat Somewhat Stiff $16.51 Just 1 left! 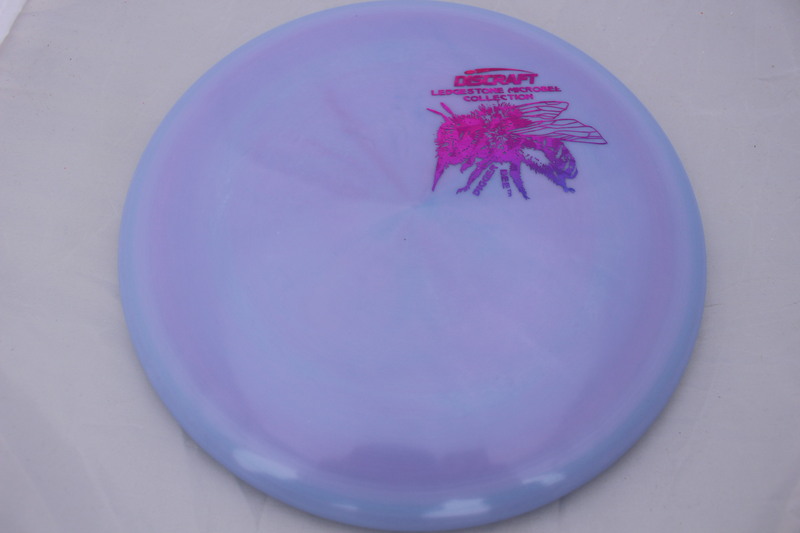 Glo - Purple/Pink Color Glo Z Rainbow 177+g Pretty Flat Neutral Stiffness $16.51 Just 1 left! 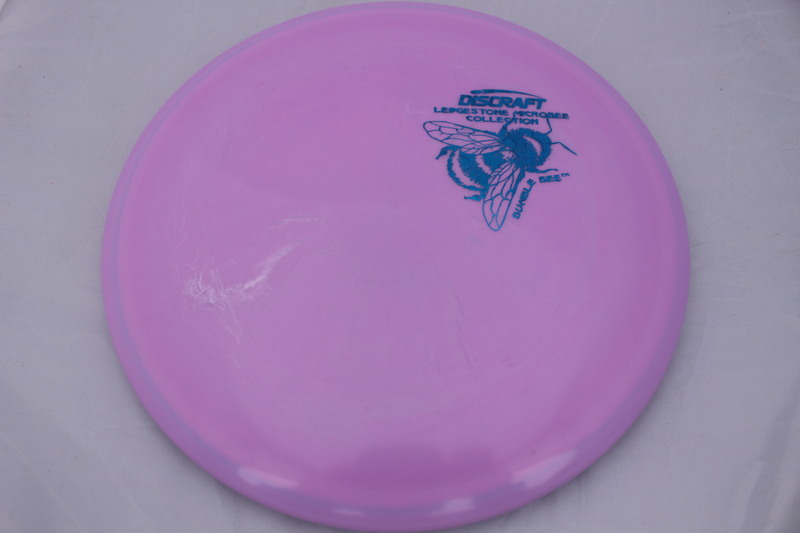 Glo - Purple/Pink Color Glo Z Black 177+g Pretty Flat Neutral Stiffness $16.51 Just 1 left! 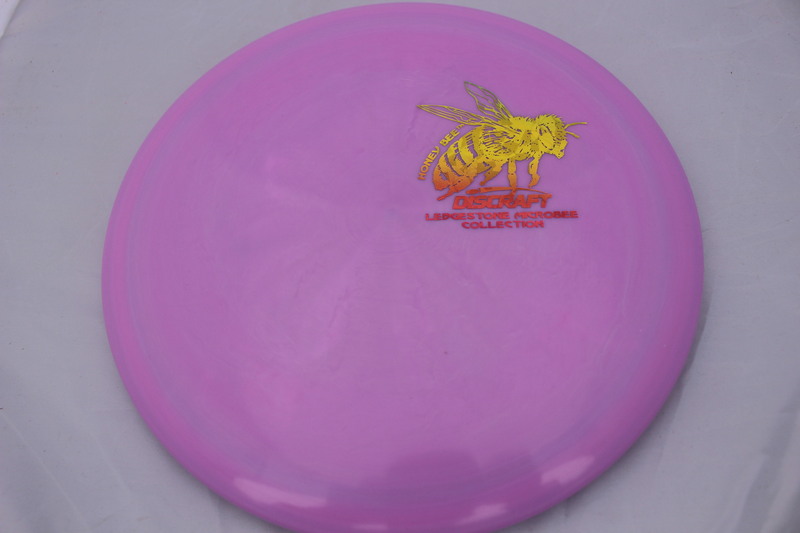 Glo - Purple/Pink Color Glo Z Rainbow - Yellow/Orange 177+g Pretty Flat Neutral Stiffness $16.51 Just 1 left! 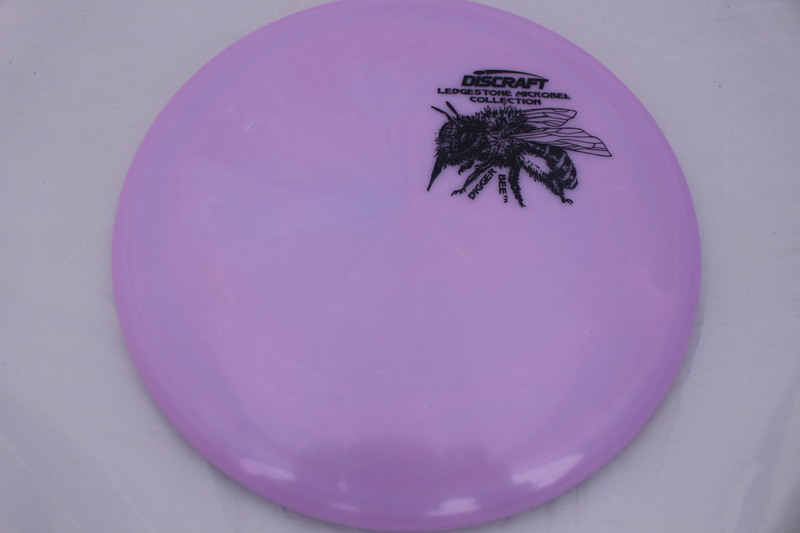 Glo - Purple/Pink Color Glo Z White 177+g Pretty Flat Neutral Stiffness $16.51 Just 1 left! 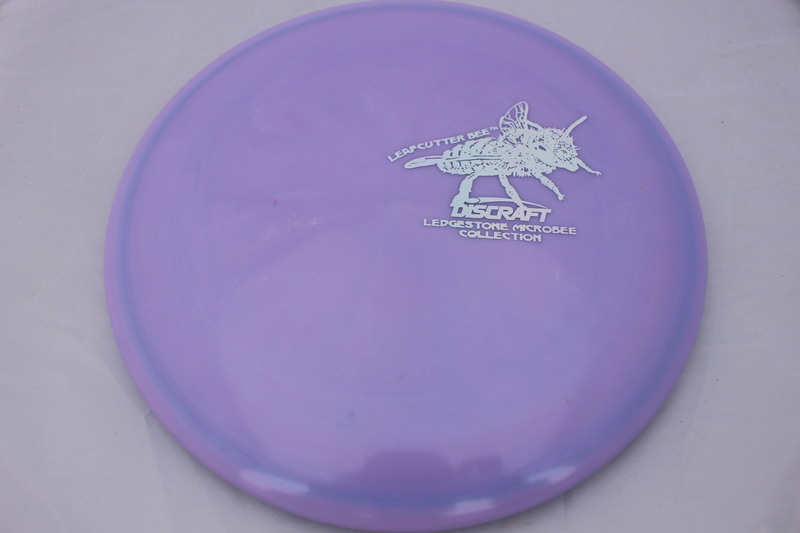 Glo - Purple/Pink Color Glo Z Blue Leopard 177+g Pretty Flat Neutral Stiffness $16.51 Just 1 left! 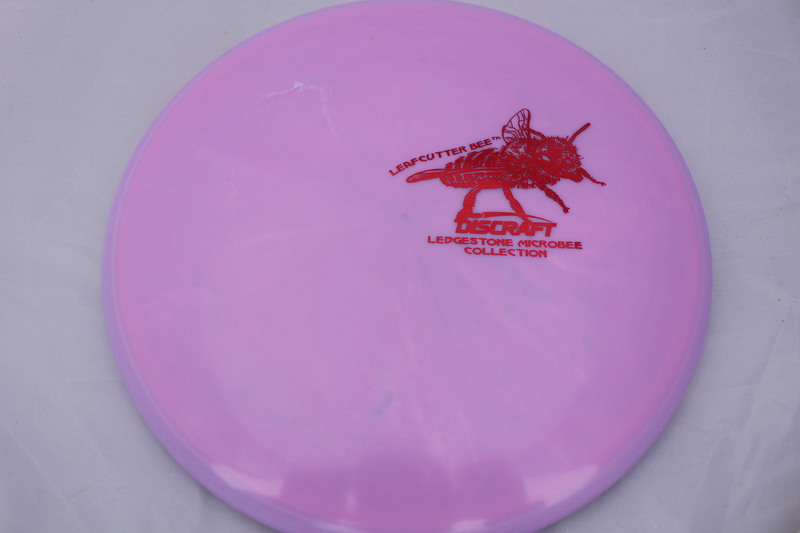 Glo - Purple/Pink Glo Z line Red Fracture 177+g Pretty Flat Neutral Stiffness $16.51 Just 1 left! 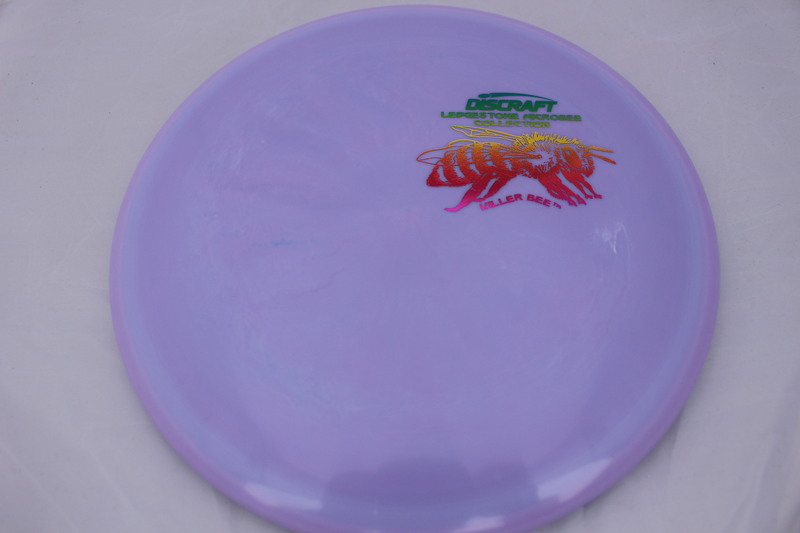 Glo - Purple/Pink Glo Z line Rainbow 177+g Pretty Flat Neutral Stiffness $16.51 Just 1 left! 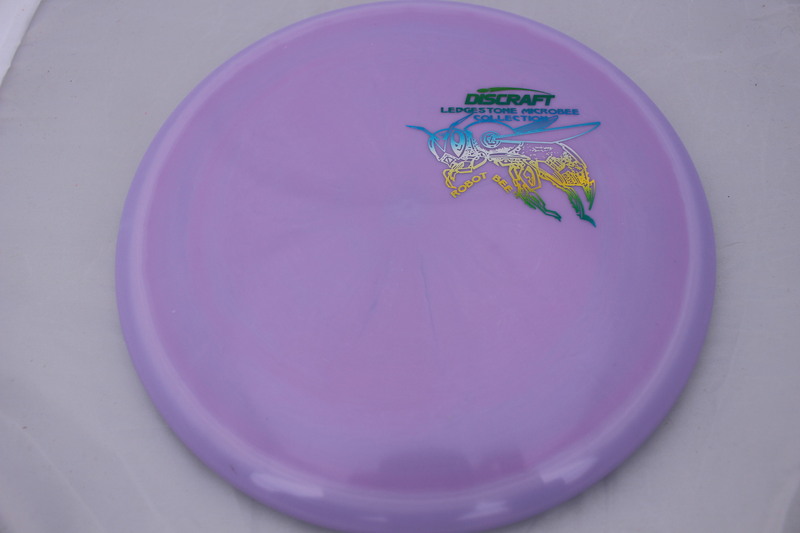 Glo - Purple/Pink Color Glo Z Blue Fracture 177+g Pretty Flat Neutral Stiffness $16.51 Just 1 left!